I recently got a call from a Rentview subscriber who was hoping to maximize her letting agency revenue opportunities from her current portfolio. When we got chatting, we went through what percentage of her landlords had taken the letting agencies full property management package against the let-only service The response was standard enough with approx 1 in every 4 landlords choosing the full property management package. So that meant that the remaining 75% were choosing the let only service. The problem here is that letting agents will not typically contact a let-only landlord during the lease cycle. The majority of letting agents using letting agency software or an organised filing system will only contact the landlord and tenant in the last month of the lease. The result of this can be rewarding for a letting agency, but what if there was greater communication throughout the lease period? The rewards could be even greater. In a typical letting and management agent’s portfolio, they have let-only landlords who are midway through a lease period and others that have gone by the initial lease period signed. So for each type of landlord there could be a different approach used. Mid-lease landlord– a landlord who you helped to find tenants but who is not receiving your management services. One way to deal with this potential repeat customer could be a quick check-up call with the landlord to see how everything is going with the tenancy. Is there anything that you can help the landlord with? Is there any rent outstanding? Is the tenant maintaining the property? Does the landlord need any advice on new regulations? Expired lease period landlord– a landlord who had been contacted at the end of the lease term and wanted to renew the lease himself or let the lease roll. Here you could use a similar approach to the above but it can also be used as a direct revenue opportunity for your letting agency. Why not offer something for free to this landlord, like a quick midterm inspection? A midterm inspection is a quick drop into the property to see how everything is going. This typically won’t take more than 5 minutes inside the rental property with the tenants, followed up with a call to the landlord. Better still why not offer the landlord a detailed midterm inspection report? This typically would involve pictures along with notes on the property condition, items which may need attention and give the landlord a feel for how is property is being maintained. What you can charge will depend on how you deliver the inspection. I know that letting agents using the Digital Inventory reports are charging somewhere around £80 for this service. A digital inventory report includes detailed date-stamped and geo-tagged photos, detailed condition reports and is all accessible on the cloud. Check out how to use the Rental Property Inventory App. Your portfolio and your clients are your letting agency’s assets and if you don’t take good care of them they will depreciate. 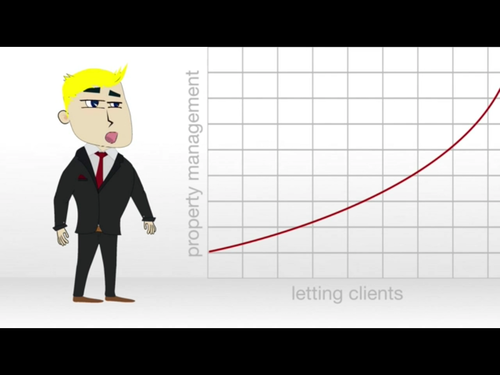 Letting agencies that want a better way to manage their property management portfolio may be interested in our Letting Agency Software. Letting agents’ revenue on let-only clients should not be restricted to an annual letting or renewal fee. By offering additional services and communicating with landlords, letting agents can increase revenue!